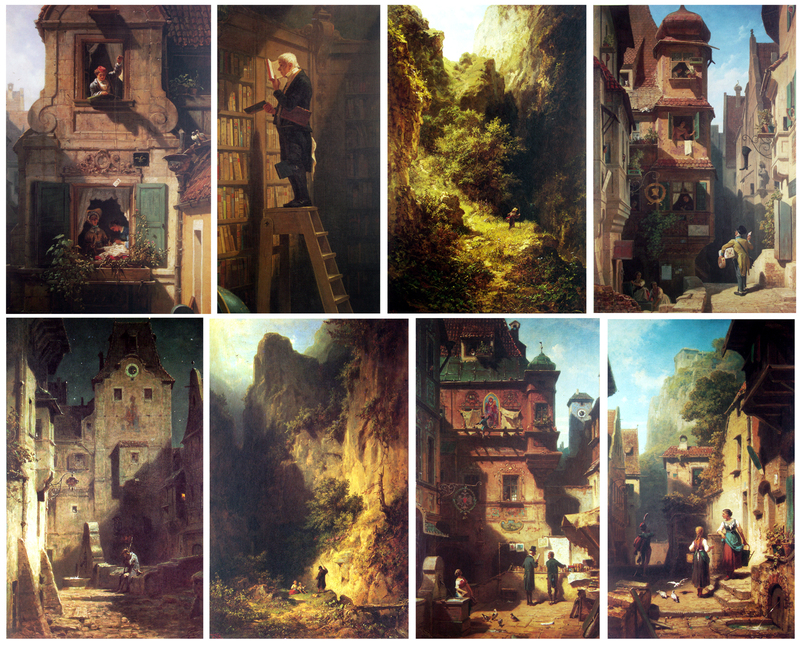 CARL SPITZWEG, 1808 – 1885, is being called the ‘painter-poet’. he portayed the daily life in his native southern german city of MUNIC in humorous scenes, showing individual figures in comic situations. the period of time is part of the ROMANTICISM, the genre is called BIEDERMEIER. 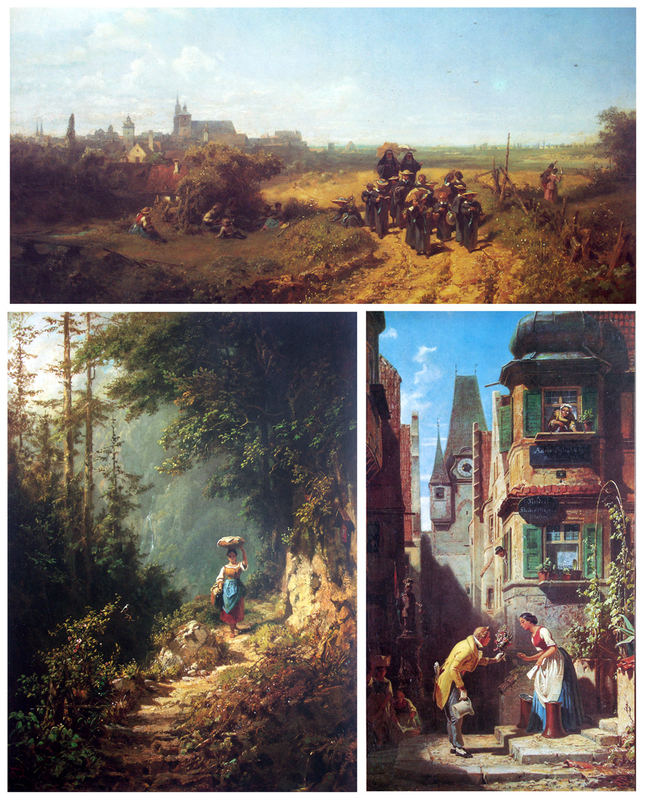 in his painting-format spitzweg prefers vertical compositions, where he can enhance the depth and narrow feel of the characteristic streetlife of his time. he is always telling a story in his captured moments, arranging the elements like on a theatre stage – happily combining realism, fancy and humor. These works are marvelous. I am animator, and I do not understand so much about painting, but is curious to me as Spitzweg utilizes the light to mark a diagonal in the composition. I think that also utilizes the light of the dusk and the dawn, to achieve greater contrasts of lights and shadows. Thanks by sharing it Hans. A warm hug from Argentina. Geez, these are gorgeous. I never heard of this painter before, so it’s always a treat to make a discovery. Wow, these are stunningly beautiful. Thanks for the new name! I saw his work in, Lembach Haus in Munich back in ’88, also have his book, beautiful work. I instantly went hunting for more of his work . Thanks for that Hans . Hi Hans, how’s it going? e-mail me some time.